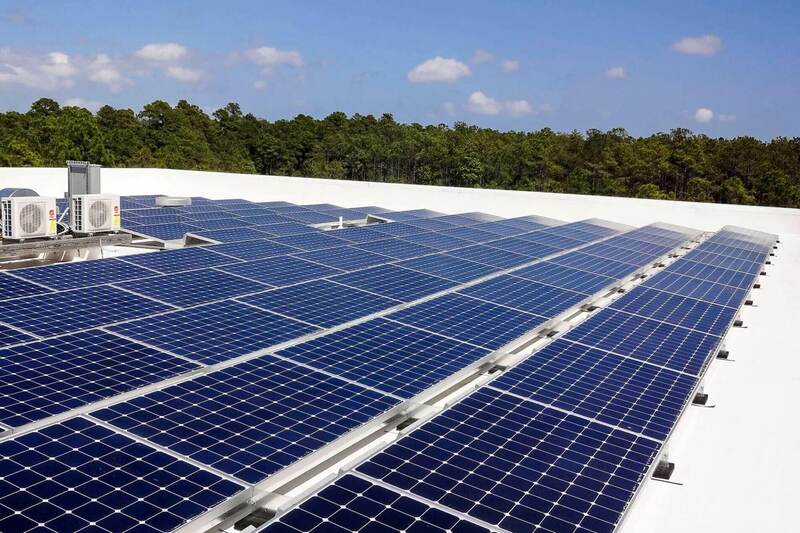 Our systems, due to the tax savings, tax rebates and energy savings will pay for themselves in about 4 years. Caper Fear Solar has been a pleasure to work with. The professionalism, expert knowledge of their technology and caring for the customer is the best. Installation was efficient and punctual. It took less than a week to get our systems up and running. To date comparing June 2016/17 to June 2015/16 we have saved $1857 at the Gift Basket and $2,181 at the Topsail Island Trading Co in electrical expense for a total of $4,037. 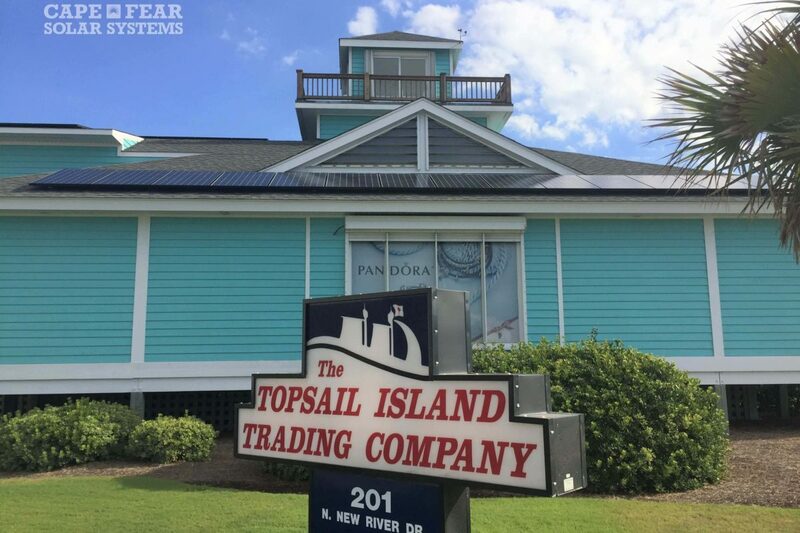 In addition, the Gift Basket and Topsail Island Trading Co have over produced electricity and sold back to the electric company a total of $337. 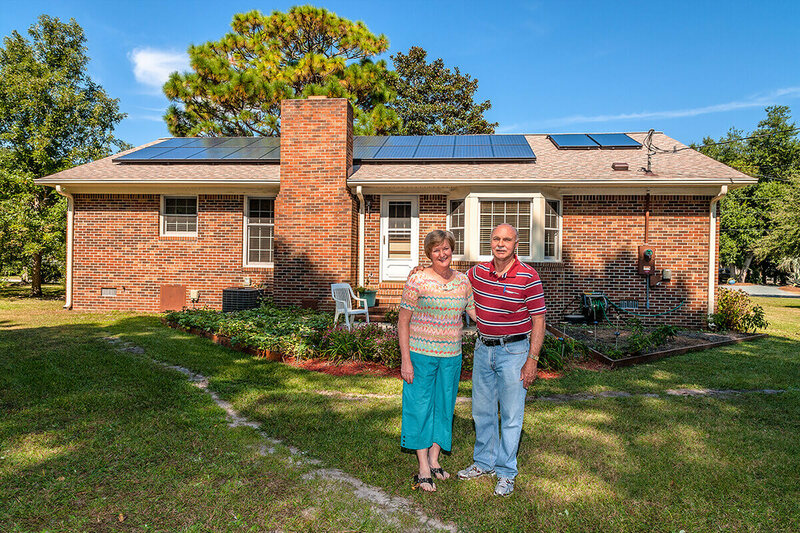 Our systems, due to the tax savings, tax rebates and energy savings will pay for themselves in about 4 years. That is a great return on investment. Our business, The Gift Basket of Topsail Island is located 6 miles south of Surf City Traffic Light at the corner of Davis Ave. and Anderson Blvd at 702 S. Anderson Blvd, Topsail Beach, NC. This original building (circa 1949) was used as the Real Estate development office for J.G. Anderson and other various uses (including a barber shop) until 1973 when Louis and Mary Lou Muery established the Gift Basket. In October of 2007, The Gift Basket of Topsail Island purchased the Topsail Island Trading Co. located in Surf City at 201 N. New River Drive. 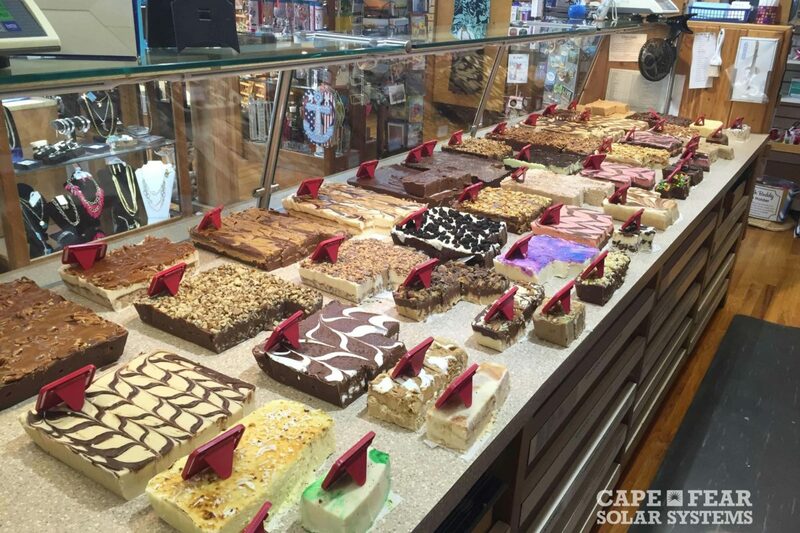 We are a locally owned and operated-and the current owners reside on Topsail Island (as has every previous owner). And we are proud to offer high quality Jewelry, Gifts, Tide and Nautical Clocks and Wind and Weather Instruments — all moderately priced. Your satisfaction is our mission. For more information visit the site www.tideandweather.com.